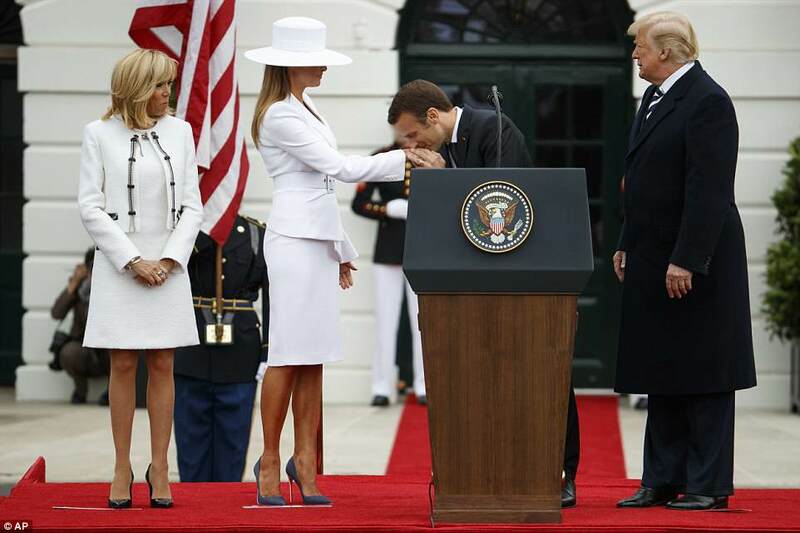 First Lady Melania Trump sported a dramatic white hat as she and her husband hosted French President Emmanuel Macron and his wife Brigitte Macron for a White House state visit on Tuesday morning. Not since Pharrell Williams wore a 10-gallon hat to the 2014 Grammys has a chapeau created so many waves on social media. Despite drawing both raves and roasts, Melania’s chic ensemble was decidedly American — and pricey. While it’s unclear which milliner created her statement-making topper, her $2,195 suit with a belted asymmetrical blazer is by Michael Kors Collection. Perhaps in a nod to her Gallic guests, her $745, 4.7-inch heels were from celebrity favorite French shoe designer, Christian Louboutin. 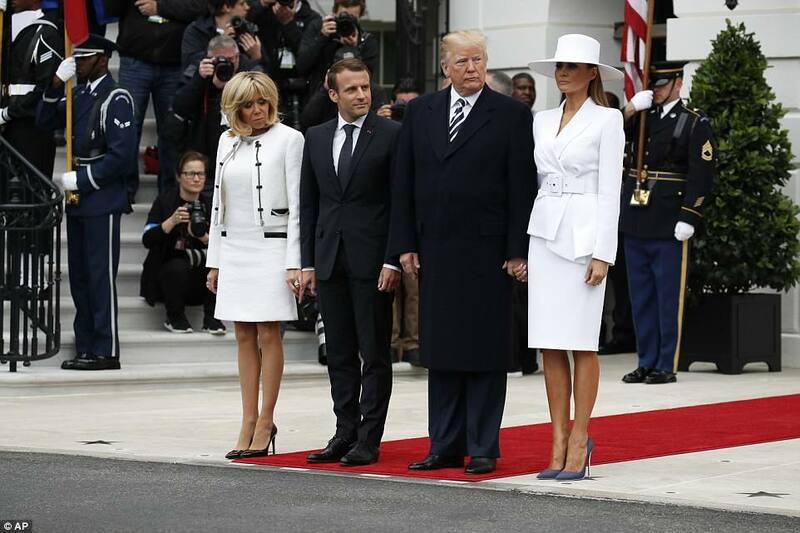 The French first lady also donned white, but she opted or a less fashion-forward look, with a shift dress and smart jacket. White is a favorite color of the first lady’s. She wore a Dior jumpsuit of the same hue to the State of the Union address. ← Another One Bites The Dust! Shania Twain Apologizes For Saying She’d Vote For Trump Following Leftist Outrage! ← ‘America’s incredible First Lady’ Melania Trump The Belle Of The Ball!